Hotel Overview Central and quiet, few steps from the main shopping boulevard, next to the entrance to the Sea Garden and 200 m from the beach. 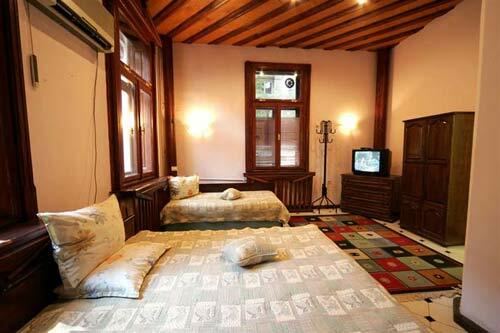 In a close proximity to the shops, restaurants, museums, night clubs, discos, casino. Walking distance to the Railway Station and the Harbour. Excellent traffic connections to all Black Sea resorts. 10 km from Varna International Airport. Own airport transport on request. Perfect rooms at cheap price. No double pricing. Friendly english speaking staff.